I am happy the Edmonton Oilers were able to agree to an affordable contract, with 2012 first overall pick, Nail Yakupov. On Monday, the organization announced that they have agreed to terms with the 21-year-old, on a two-year deal worth $5 million. That’s 2.5 million a season. Critics say, Yakupov is a bust. I have to admit he hasn’t turned out like I expected either… However, Yakupov is an extremely talented individual with the best shot-release on the hockey club in my opinion. Yes, a lot has been made of his career -72 every year he’s been in the league, you find his name at the bottom of this category. On draft day in 2012, I doubt the Edmonton Oilers even considerd this kids defense when making the decision. Every hockey fan knows, Yakupov was rushed into the NHL. Despite having dynamic offensive zone instincts; he could’ve used some seasoning in the AHL. 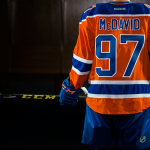 Instead, the Oilers burnt his rookie contract, and now he is 21 heading into his second contract. The biggest organizational mistake was the hiring of Dallas Eakins. Eakins essentially stunted the growth and development of every player on the roster. Yakupov, seem to immediately be placed in the doghouse. “The last half year was really good. 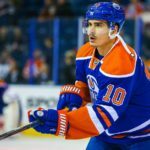 (Interim head coach Todd Nelson) gave me a second life,” Yakupov had said on Sunday as the team packed up their belongings and headed into another off-season. “The more he learns and the (better) he gets, he’s going to be a dynamic player in the NHL. I believe that. That’s why I’ve just tried to help him as much as I could,” said Roy, who centred Yakupov after he was acquired in a trade with the Nashville Predators. I agree with Derek Roy, Yakupov as the toolkit to be a dynamic NHL player. You aren’t rated the number one overall NHL Draft Prospect by accident. I can’t wait to see what a full season of proper NHL coaching and player mentorship will do for this kid. 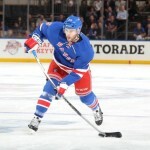 The next step is to sign his friend Derek Roy. 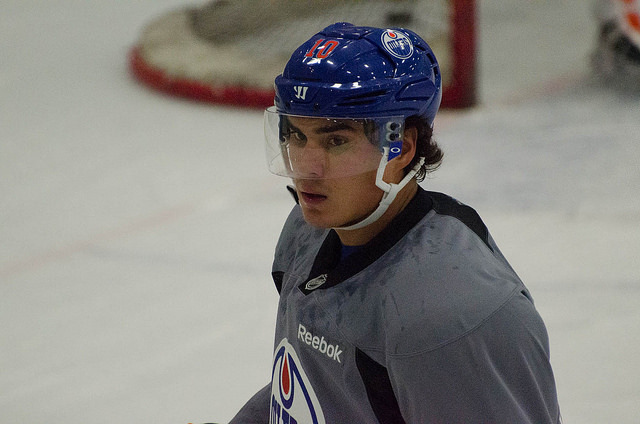 Yakupov must be considered part of the core for the Edmonton Oilers. I will be surprised if he is not one of the most improved players in the entirely league through this new two-year deal. In fact, since the All-Star break Yakupov proved he has figured out how to play at the NHL level, posting 21 points in 31 games down the stretch. Consistency, has always been an issue. But now, Edmonton has the kid playing with the most veteran trustworthy center he’s ever had, Derek Roy. It would be smart money for the Oilers to invest in Roy as well, and bank on the chemistry improving the team dramatically next season.